Home / Vinyl Windows Operating Syles / Which Window Style Works for You? There are many different vinyl window styles. Many people mistakenly think that the style of your home replacement window is merely a superficial choice. But window styles go well beyond their look–window styles provide a functional difference, too. Selecting the right window style can dramatically enhance the overall look of your home, both inside and out. 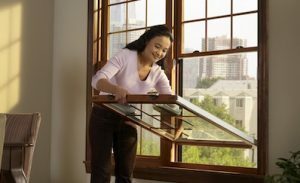 Double hung and single hung windows are very similar to each other, except for one major difference. 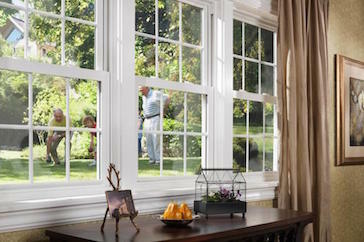 Double hung windows, our most popular window style, are preferred by many homeowners because they are so easy to clean due to an inward tilting sash. The double hung window can be opened by lowering the top or raising the bottom sash. This is one of the most popular vinyl window style’s. Click here to browse vinyl window style’s.